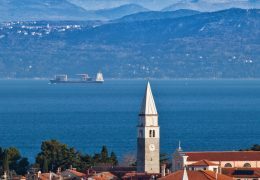 While the Mediterranean towns of Piran, Izola and Koper attractwith their medieval town cores, Portorož invites with its holiday attractions. Salt pan workers can be seen at work on the Sečovlje Salt Pans. 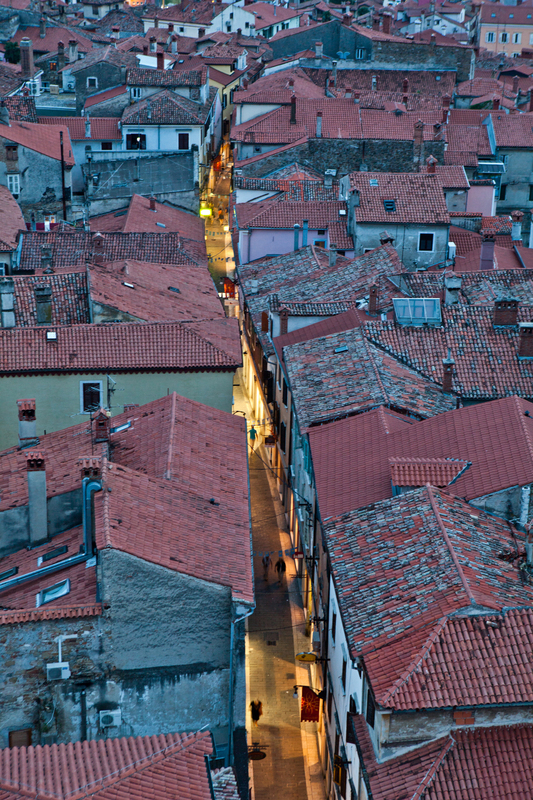 Slovenian Istria fascinates with its unique blend of Roman and Venetian influences and the beauty of its nature. Old city cores, picturesque villages and hamlets with their diverse cultural heritage invite you to visit. Whatever the season, you can relax while exploring one of many landscape parks, nature reserves and other protected areas. 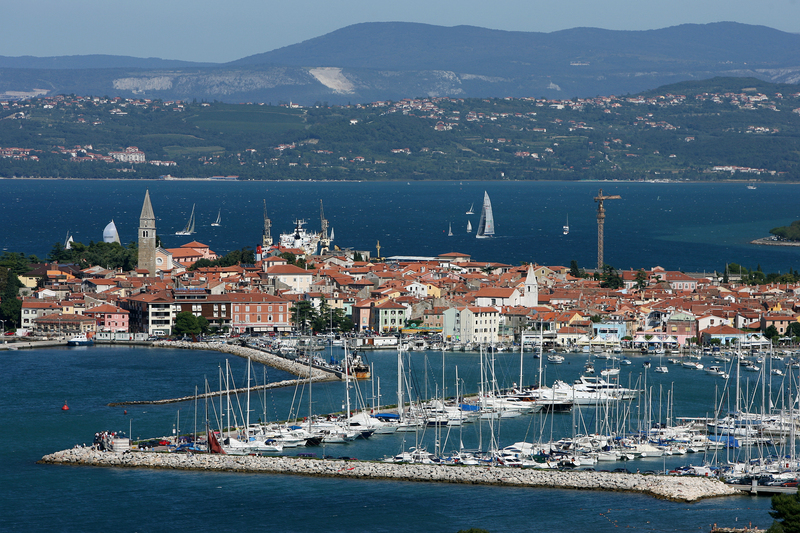 Koper, Izola and Piran: three Istrian coastal towns at the draught of cultures, colourful past and present. Different places, from galleries and theatres to numerous open air events give today’s cultural beat to the towns. 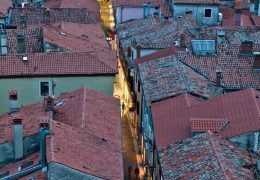 One can notice the interlacement of different cultural influences by listening to the conversations of the locals, by tasting the delicacies on the Istrian market in Koper or by walking between the stalls on street antiques fairs. 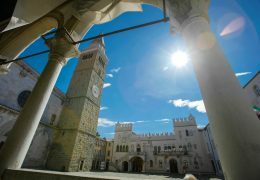 The interesting architectural, ethnological and other cultural heritage is presented in two museums – Koper Regional Museum and Sergej Mašera Maritime Museum of Piran – andin many other smaller muesum collections as well. 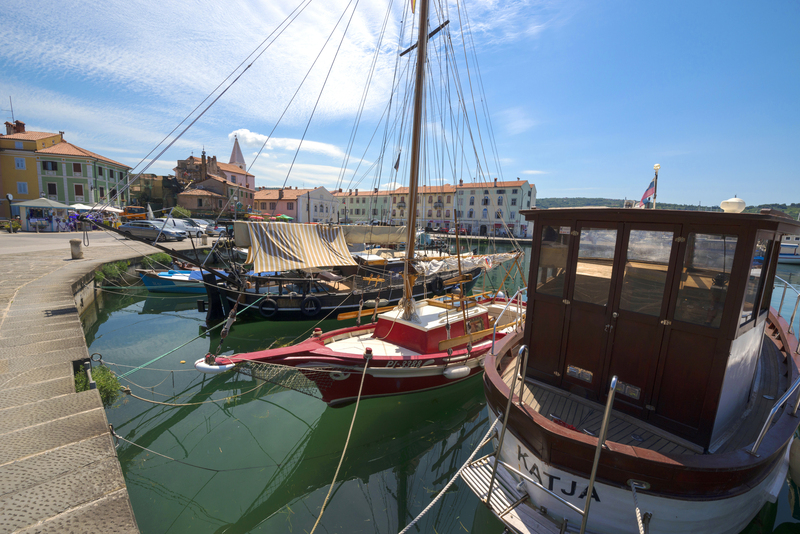 The turbulent history of the smallfishing town created wonderful architectural treasures and old legends, which bring you back in time when Izola was still an island. The spirit of the Meditteranean can be felt with every step on clustered medieval streets, with the view of the rocking boats, with a relaxing chat with the locals, and with the aroma of speciality seafood dishes accompanied by good wine. In Izola it is never boring because there are various events throughout the whole year and they are inspired by old customs and traditions. Museum, galleries and studios will bring you to the world of Istrian art and craft, but if you wish to experience real spiritual refreshment, sail the Adriatic sea. 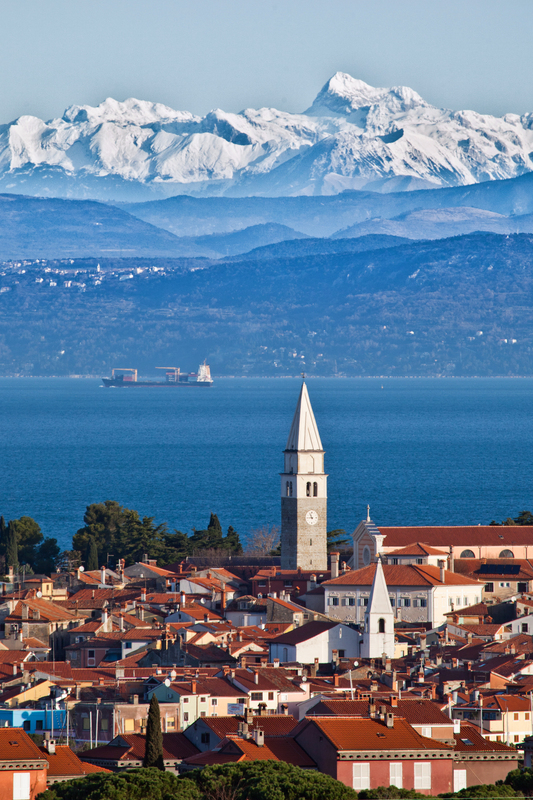 Picturesque countryside of Izola with many valleys and long hills offers gourmet delights, which can be explored in several local restaurants and on tourist farms, most of which have a wonderful view of the Gulf of Trieste. Izola’s hinterland offers countless possibilities for roaming around and exploring the natural beauty of Istrian hills. You can explore them on foot, on bycicle or even on a horse’s back. 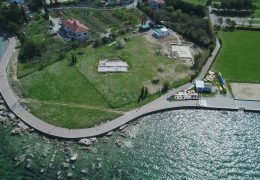 In the area of the Roman maritime villa and its background there is an extensive web of specimens of cultural and natural heritage of immense value nationwide. The site is protected as a monument of national importance. The living area of the villa covers more than 3000 m², two sections of which are now partially visible. The living quarters are arranged around the inner courtyard, whereas the whole complex is connected to the adjacent port via a longer corridor (portico). Remains of waterworks were discovered in the background – a set of clay pipes which ran under the ground, supplying the villa with fresh water. The history of the villa revealed that it had ben built between 25and 10BC; by sometime between 50 and 70 AD, some parts of the structure have already been abandoned. The corridor and the port have remained in use for a longer period of time. The excavations in the area around the villa in Simonov zaliv revealed different findings which enable the reconstruction of the inhabitants’ lifestyle and their economic activities. Some of the recovered objects are on display in the Sergej Mašera Maritime Museum of Piran and the Regional Museum of Koper. 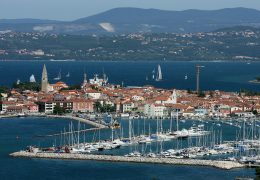 The port in the bay of St. Simon is of particular importance: covering the area of more than 7000 m², it is one of the largest ports in Istria’s western coast. The pier which still featured bronze rings for securing ships in the 19th century is now hidden under the facilities of the public bathing area, whereas the remains of the jetty are still visible in the sea. South-west of the port, massive stone blocks are still visible under the water: these were probably part of the port’s storage facilities. The port remained in use until the late middle ages. 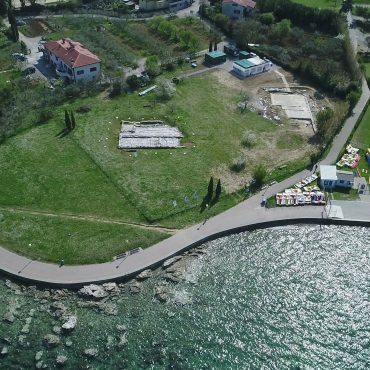 Since 2010, the Institute for Archeology and Heritage of the Faculty of Humanities at the University of Primorska is responsible for the management of this monument and has been undertaking actions for the valorisation and promotion of the site. 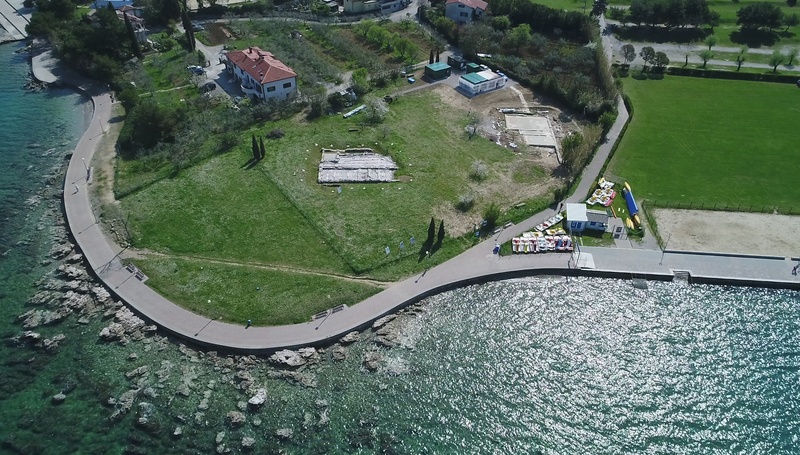 Archaeological park includes the interpretive centre, the preserved and presented remains of the villa and its mosaics, the first underwater archaeological park, the innovative digital and interactive solutions to increase the empirical experiences of visitors – in short, the park’s full integration into the cultural and tourist offer.